Riley Ellison is in love. World-famous Christian leader and bestselling author, Riley Ellison loves like a lit sparkler. His genuine affection for even the most wretched burns with scorching heat, brilliant colors and frenzied energy. It's no wonder God chose him to orchestrate His miracle. Pastor Ellison invites the press to join him in exactly two weeks, at which time he will tell Mead Mountain to move on live television, and in accordance with the promises revealed in Scripture, he claims it will move. The lines are drawn and everyone must choose a side. If the mountain moves at Ellison’s command, no one could reasonably continue to doubt God’s existence, and America will enter into the next Great Awakening. If it does not move, pews will be emptied, believers will be shamed into silence, and the faithful will be made a laughingstock worldwide. In the meantime, Ellison continues to do what he always does: attempt to shine Christ's joy into a dark and broken world. He encounters a gun-toting drunk, a God-hating celebrity, and a desperate woman trying to save the life of her son. Will Ellison's relentless pursuit to emulate Jesus act as a transforming force in the lives around him, or will the horrendous pain of this world cause Riley's spark to finally burn out? And will any of it be enough to overcome the biases of the reporter assigned to his story? 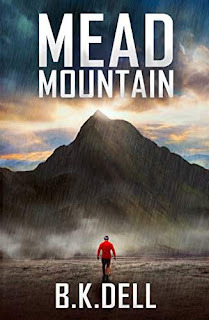 Mead Mountain is unlike any novel you've ever read. It's when we've observed deep sorrow, that we can truly triumph in joy. When we understand our brokenness, then we can properly value His sacrifice. Trust me, if you knew the hopelessness He delivered me from, then you'd understand the intensity of my worship! Mead Mountain is intense. The light is always brightest with the first step out of darkness. Mead Mountain will make you squint, make you cry, and leave you breathless.